Ukraine (MNN) — Tensions are escalating again in Ukraine. On Sunday, pro-Russia protestors took hold of three cities in eastern Ukraine: Donetsk, Luhansk, and Khariv. Yesterday the interim government issued a 48-hour ultimatum to activists in these cities: enter into talks or face force. Russia says civil war could result if Ukraine uses force against the protestors. Sergey Rakhuba of Russian Ministries says they have workers are in each city held by pro-Russian activists. He speaks with them regularly, sometimes hourly, he adds. “The situation in Ukraine is changing by the hour; the more we watch it, the more concern we have in our hearts,” Rakhuba states. Concern partly centers on the extent of Russia’s involvement in current unrest. U.S. officials have expressed suspicion based on similarities between the take-over in Crimea and the seizure of government buildings in these three cities. “This is the same scenario, same plan, same strategy, and I would be very doubtful if somebody would say ‘Russia has nothing to do with it. '” Rakhuba adds. While the struggle for Ukraine is continually evolving, a few things are staying constant. First, uncertainty is causing a new hunger for the Gospel. “I see how the country has awakened. Because of all this turmoil, uprise, concern, anxiety, the nation is open for spiritual revival today,” says Rakhuba. Following initial unrest in Kiev, Russian Ministries began equipping churches with copies of Scripture to give protestors. Now, they’re sending another wave to churches in eastern Ukraine. 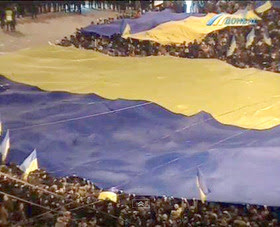 Last month, Ukrainians gathered in Kiev to pray for their nation. 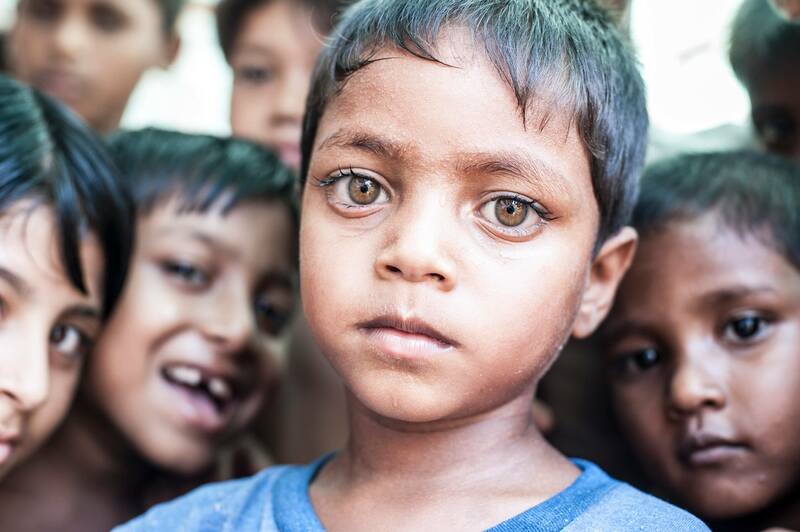 “We want to equip the Church to use this opportunity, use the momentum…to help people find the source of true hope in Jesus through reading the Scriptures,” Rakhuba notes. Each copy also includes a suggested prayer of personal repentance and restoration of fellowship with God. There is also a suggested prayer for healing of the nation and community. “We would greatly appreciate if people go to www.russian-minsitries.org and join us in partnership to help equip the evangelical Church, evangelical Christians and leaders in Ukraine,” says Rakhuba. Click here for a direct link and select “Scripture for Ukraine” in the drop-down menu. 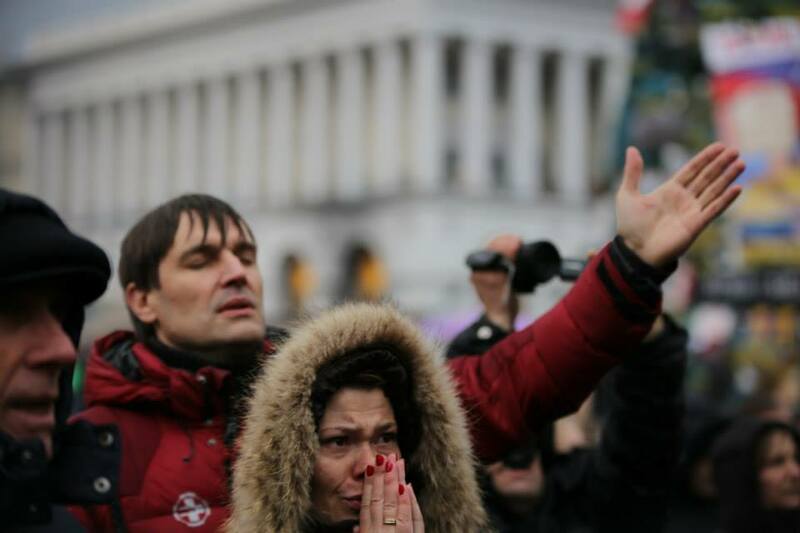 The second consistent factor in Ukraine’s unrest is the need for global prayer. “There are lots of concerns that Russia has chosen the politics of separating Ukraine, of dividing Ukraine, breaking Ukraine up,” Rakhuba shares. Ask the Lord to guide and direct Ukraine’s interim government according to His will. 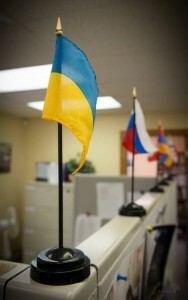 “Continue praying for the church leaders in Ukraine,” adds Rakhuba. “This is a very difficult time. They need wisdom, direction, courage now. Pray that the Church will step up as a spiritual force in Ukraine. Pray that believers will be bold about sharing the Gospel. 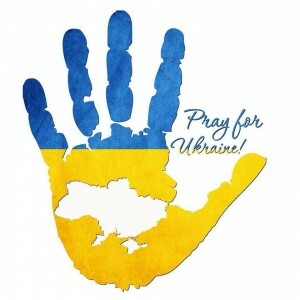 Write your prayer for Ukraine on our Facebook wall. Father we pray for your humble servants in Ukraine, Crimea, Russia, and other states and countries where national and corporate concerns outweigh the saving grace and work of our Lord and Savior, Christ Jesus. We pray for leaders of nations to bow down to the will of Almighty God and for the preservation of your faithful as lights to those in great darkness. The US church and those not so near to true persecution look to your faith and witness as hope for the true freedom we have in Christ our Lord. Ask the Lord to guide and direct Ukraine's interim government according to His will. Pray for wisdom, direction, and courage for church leaders. Pray that the Church will step up as a spiritual force in Ukraine. Pray that believers will be bold about sharing the Gospel.